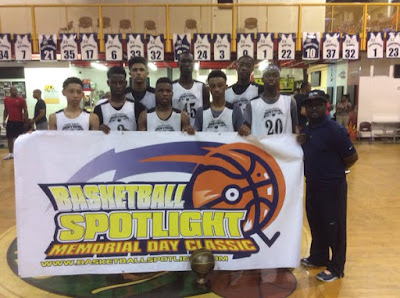 BASKETBALL SPOTLIGHT NEWS: Basketball Spotlight MDC 8th Grade Orange Division Championship Recap: Lightning Strikes In Neptune! Basketball Spotlight MDC 8th Grade Orange Division Championship Recap: Lightning Strikes In Neptune! In the battle of the Nike programs NY Lightning pulled away in the second half to defeat Team Final 67-57 to win the Basketball Spotlight MDC 8th Grade Orange Division Championship. Congrats to both teams for making it to the finals and to the NY Lightning for winning it all. Mr. Memorial Day: Posh Alexander Alexander aggressive style earned him the name “Baby Westbrook”. 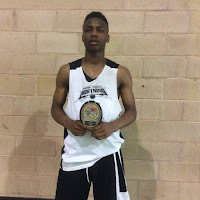 He got into the lane with ease and was very explosive in the open floor. He showed some above the rim prowess by throwing down two dunks over the weekend. He finished with 21 points in the championship game.